Palm Springs, California, May 10, 2017	(Newswire.com) - HollyHills Development President & CEO Daniel N. Bailey announced that his firm has acquired 14 acres of land in Hanford, California, for development of a boutique new tract home project. “We plan to bring a new home product to the Hanford market that we believe will be enthusiastically embraced. Our focus on unique design, energy-efficiency, functionality and community layout will be something new to the Hanford market,“ Bailey stated. HollyHills Development launched several high-profile commercial projects in Hanford in the early 20000s. It was through the success of these earlier projects that encouraged Bailey to launch new ventures in the thriving Central California community. “When HollyHills first came to Hanford in the early 2000s, we felt the local market was on the cusp of a tremendous breakout. Over the past 15 years, Hanford and the entire Kings County area has really grown and thrived at a time when other California communities and counties didn’t experience the same consistent growth,” Bailey said. He continued: “Today, Hanford finds itself in demand for innovative, quality new home construction. Our boutique new tract home development will directly address the needs and desires of the Hanford new home buyers,” Bailey added. Bailey anticipates construction of his firm’s new tract home project to break ground in early 2018. 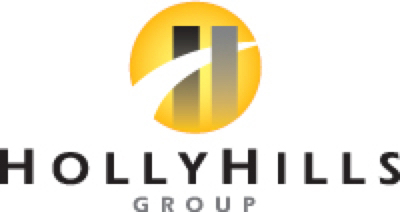 HollyHills Development focuses on development of luxury apartment home projects, boutique new tract home ventures, a custom home building program and commercial real estate development.